The opening of Star Tours at Disneyland Paris is getting closer and closer. The official dates that have been communicated are March 26th (official) or March 18th (soft). 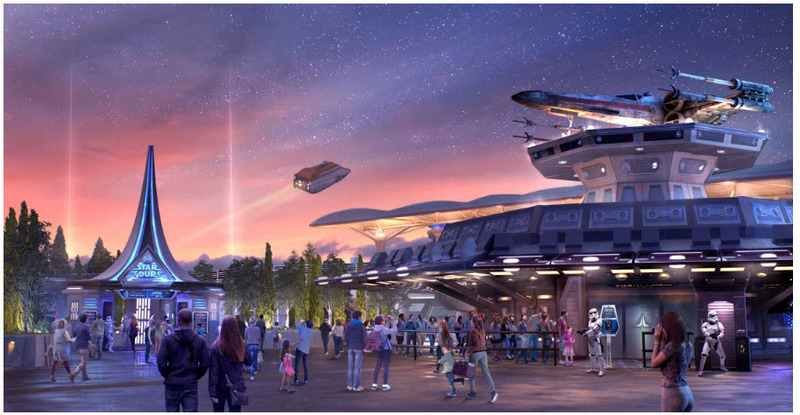 Today Disneyland Paris has released new Concept Art of how the area near Star Tours and the Star Wars Meet ‘n Greet will look like. The X-Wing that was removed when the renovation started is already back on its final location and has a great spot on this art works as well. With just a few weeks to go, we are all excited to experience all things Star Wars at Disneyland Paris. And the concept art only made the excitement bigger.